July 10th in Plugin Lists, Wordpress Plugins by Wordpress Jedi . If Menu: this simple tool lets you show and hide menu items with conditional statements. 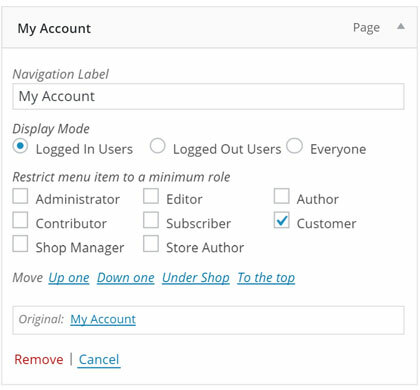 Menu Item Visibility Control: lets you enable or disable menu items on your homepage or for your logged-in users. 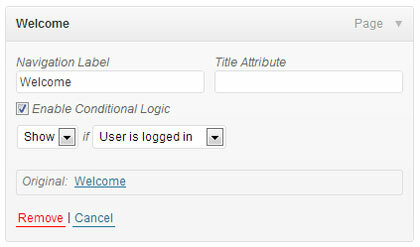 Just insert the appropriate conditional tag in the visibility box, and you are set. 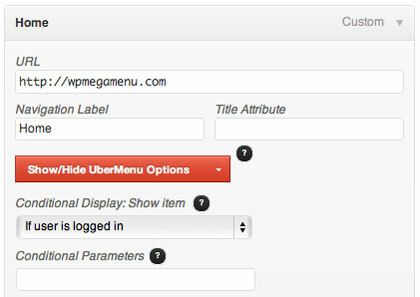 UberMenu Conditionals Extension: lets you conditionally display or hide times in your UberMenu. You can choose 2 conditions per menu item. Nav Menu Roles: this plugin lets you hide custom menu items based on user role. 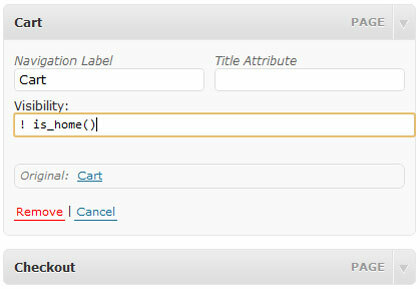 Have you found better conditional menu items plugins? Please share them here.